Today at Cloudforce New York, being held in the Jacob Javitz Center, Salesforce.com unveiled a powerful new approach to marketing data analysis designed to give marketers much clearer insights into the social data they collect. The company says that this insight will drive more actionable information and sales. Just what the social doctor ordered, I think. One of the big issues of social marketing has been the under appreciated need for analytics — but analytics specific to a task. It’s fine to capture a lot of customer data for analysis and many of us have discussed that but what’s been downplayed in the conversation has been a sense of what the analysis is supposed to do. For many, “analytics” or “analysis” has been a black box and “sentiment” a far too generic word. 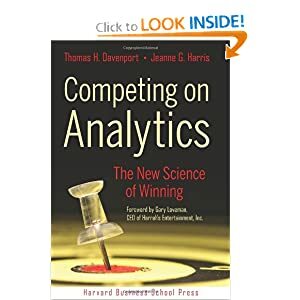 But if you spend any time thinking about the challenge you realize that the key question in analytics can be phrased as, What kind of analytics? or more bluntly, What are you looking for? There is a saying I am fond of — if you bring your car to Meineke you’re going to get a muffler. That’s not saying anything bad about Meineke it’s just an updated way of saying that the man with a hammer sees all the world’s problems as a nail. Bad marketing follows that logic. Social marketing has been there but it is moving away from a monolithic approach to something more nuanced and Salesforce’s Radian6 group is providing some important leadership. A raft of new companies has sprouted up over the last few years that focus on things like emotion, natural language processing (NLP), predictive and trending analytics, affinity and segmentation and, of course, influence. But these are all point solutions. The problem with this richness is that a marketer has to have access to all these tools if he or she expects to begin to understand what all the collected data actually says. Today’s announcement ties this all up in a bow. Salesforce is announcing its Social Insights Partner Ecosystem, which consists of twenty analytics partners with a variety of analytics capabilities to provide the insights that social marketers crave. Less celebrated but definitely worth mentioning is the Radian6 platform technology that provides a common interface for all the partners to access social data, perform analysis and submit the results. The platform is open and additional analytics partners will be added in the future. Radian6 had most of this in place when it was bought by Salesforce but in the intervening months, the companies have focused on the business and technology merger, so it’s good to see this return to the knitting. The result is a system that can collect data and turn it into useful information — they call it insight — upon which marketers can take action like making campaigns and drive decisions and sales. But marketers are not the only beneficiaries. For instance, service and support workers accessing the social channel can use sentiment, emotion and natural language analysis to find customer situations where a service call is in order. At least in theory, no customer with a legitimate problem will be able to Tweet #$%^&! COMPANY without a reasonable expectation of action from a vendor using this tool. That’s 180 degrees away from old fashioned calling and waiting in a queue. More importantly, though, all the various forms of analytics make it possible to screen out the false positives too. That means being able to focus on the issues that really matter while leaving behind the sarcasm or, hopefully, the double entendres. Is it perfect? Nope. Does it have to be? Nope, again. At the end of the day these are sophisticated screening tools designed to take the majority of the noise out of the data. It’s like using a powerful magnet to find your needle in a haystack and that’s progress. As time goes on the screening becomes more sophisticated, the magnets more powerful and that’s what’s important. I can’t help a self-reference here. Over the summer ninja analyst, Esteban Kolsky and I did some research into social media adoption and customer attitudes. We found that the marketing department followed by service and support were the more advanced groups employing social media in the enterprise. But we also discovered that most of the uptake was in the FLiT group — Facebook, LinkedIn, Twitter — social products, plus blogs. But these are all outbound channels and there was a certain amount of latent frustration noted in the research that social wasn’t able to do more than provide cheap outbound contact. Using social output without pausing to consider the customer’s needs serves no one and you could say that social marketing doesn’t even start until you have first analyzed the customer situation. Salesforce announced more sophisticated analysis and insight today which leads naturally to action and deals and that is what I think is so important about today’s announcements at Cloudforce. On demand billing and payments company, Zuora, has been named the OnDemand 100 Company of the Year by AlwaysOn, a Silicon Valley web property that tracks activities in emerging companies. As you know if you’ve been here before, Zuora was one of the earliest movers in the market for on demand billing services for companies that sell through the subscription channel. The company realized early on that subscriptions were much different from conventional products in how they are bought and paid for. One of the founders, Tien Tzuo, dealt with billing challenges at Salesforce.com when the company was young and trying to figure it all out. That led to Zuora. Zuora has raised more than $77 million in its 5-year history and $36 million came in the recently completed series D funding round. The company is spending its millions on expansion, sales and marketing. It has opened offices in Europe and is expanding internationally. The timing was right for Zuora. A huge new class of subscription companies proved the value of subscriptions and began bumping up against operational issues like billing and Zuora provided a solution. It’s not over yet. A lot of data gets generated in subscription commerce and sophisticated subscription companies can leverage it to measure and manage their businesses. Zuora still has other fields to conquer and one of them will surely be an IPO at some point. 1) Raising more money, not because they need it but because it’s cheap and the VCs are having a hard time finding good late stage investments. 2) Readying for market new offerings aimed at specific segments that may have been under served before. 3) Desperately trying to hire people. The people I met with have openings whose sheer numbers astound you. The CEOs I met with told me the could easily double their sizes in the coming year if only they could find 50, 100 or 200 qualified people. At Dreamforce Marc Benioff said his company has about one thousand openings. These and many other CEOs know that they have to hire ahead of the demand curve and demand is brisk. To be sure, the jobs we’re talking about are not aimed at the unemployed factory worker — at least not the one who hasn’t been retrained. That brings up a difficult discussion of how we as a society respond to changes in the marketplace and the value of our educational system. This piece is not intended to be a deep dive on either, merely an observation. But back to the magazine editors. That “collective obsession with short-term austerity across the rich world” and getting it wrong generally, were the subjects of another economists life’s work. John Maynard Keynes lived and wrote in the first half of the twentieth century about times that are increasingly looking like our own. In a well written and very useful article by John Cassidy in the October 10 issue of the New Yorker, Cassidy asks the essential question — What would Keynes do? In practice Keynes would do nothing as he was never an elected official but he did advise them. His prescription would have been to increase aggregate demand — that sounds like complicated economicese but it really boils down to stimulus. Get people working and paying taxes and while we’re at it lower taxes to make spending more attractive. That means the government as buyer of last resort. As the economy recovers those policies can be trimmed and the debt incurred by the government can be repaid. All this stands in sharp contrast to The Economist’s observation that an “overwhelming emphasis on short-term fiscal austerity over growth” is causing harm to the global economy and no good aside from giving politicians the chance to strut for increasingly tiny fringe audiences in advance of an election. The politicians in California are safely sequestered in places like Sacramento and HP where Meg Whitman who recently ran for governor now presides. The Silicon Valley economy is by all measures thriving. What do they know that we should? At his second and final keynote address to the 2011 Oracle OpenWorld user meeting, Larry Ellison finally gave the rabid software oriented audience something to savor. Throughout the week the Oracle CEO and his minions had spent large amounts of time telling us about hardware or some other aspect of the business leaving me and my software analyst and blogger friends champing at the bit. That changed in Ellison’s second keynote when he announced the Oracle Cloud, the Oracle Social Network for business and the arrival of Fusion applications. There may have been other introductions but honestly I was scheduled to be on a panel at 5 PM and for all I know Larry is still talking. Ellison’s keynote did not come without drama. A long-running argument between Ellison and former Oracle vice president Marc Benioff, CEO of Salesforce.com, nearly blew a fuse when Oracle cancelled Benioff’s keynote forcing him to scramble to find other accommodations to address Oracle Nation. It was great political theater when Salesforce hired the St. Regis hotel and set up campaign style picketers with signs and slogans — “The cloud must go on” — out on the street. Much of the drama could have been avoided if only Oracle had introduced its software trove earlier in the week. The idea of both Benioff and Ellison speaking about opposing views of cloud computing at the same conference and on the same day proved too much even for San Francisco. Instead, earlier in the week, Ellison laboriously discussed his company’s line of high performance computer gear aimed at the high end of the market, which many of us in the analyst community greeted with a so-what attitude. The question of why Oracle held its fire for so long is curious and will be the subject of many post mortems. When I try to puzzle through this turn of events I have to conclude that if they had announced the cloud and social network earlier in the week, they would have been forced to answer questions and provide demonstrations. As it is, we all go home armed with knowledge of these products only through a demo that Larry did on stage but none of the reassurance that they are real. It would not be the first time that Oracle announced something early. I am therefore forced to conclude that at least the cloud and social network that were announced are not really ready for prime time. I am sure the products exist in some form but I am not sure what state they are in. I will believe it all when I can play with it and report to you. With the assumption that the software products are real we need to ask what impact they will have on the industry. The short answer is that these products will be enough to freeze many decision processes until Oracle can get around to delivering a true 1.0 version for general availability. In conception, the Oracle Cloud and Social Network sound good and they will appeal to a big audience of Oracle customers. But they are not fundamentally different — and one needs to question if they are better — than what’s already on the market. For example, nearly every vendor except Salesforce, offers customers the choice of where to operate its software — in the data center, in a third party hosting environment or in an Oracle sponsored facility. Also, these customers have the choice of running in a single tenant or multi-tenant configuration. So all the bases are in theory covered. 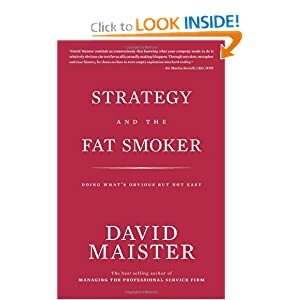 But this only adds fuel to an already smoldering argument of whether it is better to simply move applications from an old paradigm to a new hosting environment or if it might be necessary to take a fresh look at these applications in the context of mobile and social demands and changing business requirements. Failing to do all that might result in well functioning applications that have diminishing relation to reality. As Benioff has made clear for the last decade and did again at his press conference, most of those choices fit an old paradigm at a time when the paradigm is changing and the multi-tenant solution is the way of the future. Interestingly, Ellison derided multi-tenancy as something that is 13 or so years old but ignored the idea that the conventional IT that his solutions provide for are much older still. Moving your data center off site, which is a function of the Oracle Cloud, is not exactly state of the art. Ellison was careful to point out the places where his cloud, for instance, was superior to Salesforce. Oracle Cloud offers users the ability to use applications on premise or on-demand and to move applications from one to another without losses. Oracle also works hard to assure the market that its solutions are standards based using standard middleware and programming languages. In fact Ellison was happy to discuss the whole application stack in that context. Big IT shops will be comforted by this knowledge but increasingly, they are seeking ways to streamline their operations and reduce the amount of labor they invest in their applications. A discussion of how to avoid middleware all together might have been more welcome. The new IT paradigm promoted by Salesforce and a growing army of followers is social, mobile, cloud and multi-tenant. The new Oracle products embrace all of this but still leave it to the customer to determine when to adopt these ideas. That is a good approach for a company like Oracle. Ellison has a huge installed base of some 380,000 customers and they will not be converted in a short time. So hybrids and halfway measures are the strategy and in this Oracle has played its hand well. But it is not alone — Microsoft, SAP and many other software houses that were the leaders in the last decade have the same tricky path to traverse and the same basic approach. What happens next will be interesting. With these announcements Oracle has come close to parity with its competition but it is last in the race and its solutions mimic the competition without breaking much new ground, if any. What the company does next will be vital. Will it continue to follow the pack as a not to fast follower or will it innovate around all of the ideas bubbling up today including mobile, social and, of course, cloud? There is enough in the announced products to enable customers to get going with cloud computing and in applying social concepts to business and there is plenty to support those who break out in a rash whenever they hear words like Salesforce.com, cloud or social. That is right where Oracle needs to be at the moment assuming the products they announced, but curiously did not let us see or try out, really exist. Ahh, what a difference a good night’s sleep makes. The Greeks are still threatening default on their bonds, the economy is still in the loo, the major stock indices are teetering on a bear market precipice and Marc Benioff is still going to speak at Oracle OpenWorld or at least next door. But there is some clarifying news. First, the guys at Oracle can claim that they didn’t cancel Marc, they simply moved his talk to Thursday. Unfortunately, Marc is getting on a plane this afternoon to go on sales calls back east (The man still visits customers and asks for the order. Not making any comparisons, just sayn). The trip was planned for weeks according to my sources at Salesforce so there was no way to reschedule. I am sure that was communicated when Oracle offered the choice 8 am slot on Thursday morning instead. It’s sort of like saying, no, your vacation was not really cancelled, it’s just been rerouted to Siberia. There’s been some good analysis by Larry Dignon suggesting that the audience is being played and I think there might be some truth in it. Last year, if you recall, there was a minor contretemps in the press between Ellison and Benioff over cloud computing. Larry had introduced his compute server, Exalogic, and Marc was deriding it as a cloud in a box. “Beware of the false cloud,” he said. We all laughed and reported all of it. Larry got coverage, Marc got coverage and it was all good for business. I am sure this was not collusion, just two guys who know each other’s moves and how to play a certain game. This resembles improvisational comedy quite a bit or maybe it is real life imitating improv. Here’s how it works — two funny people can riff on an idea for a long time without ever having a script by knowing a simple rule or two. The first is be funny and the second is always say yes. In other words, regardless of what the other comedian says, accept it as valid and build on it, just never say no, I don’t think so, and the sketch can go on for a long time. For certain, Larry’s talk on Sunday was a train wreck panned by even the mainstream press. Was there concern that Marc would upstage Larry in his own venue? I believe Larry speaks this morning also. Marc will certainly talk about cloud computing and software and deride Oracle’s hardware despite the obvious fact that at the end of every cloud rainbow there is not a pot of gold but a server farm. On the other hand, Oracle is late to the game with its Fusion products that would give them a whole cloud story. I sat in a briefing yesterday with nine IT executives and CTOs of companies that were in the Fusion beta program. We couldn’t report names of companies, but they exist and appear to be happy. That’s the state of Oracle’s newest cloud software though certainly products like CRM On-Demand have been around almost as long as Salesforce. Not to worry though, I think Oracle has made excellent progress, as I relate here, in the two years since Larry first derided cloud computing at the Churchill Club. Ok, so maybe it wasn’t paradise but then again with all the new tools Salesforce is rolling out for multiple kinds of computing whose primary overlap is the significance of the Internet is their use, this was kind of a Bonanza — Little Joe! Get my compiler! (Sometimes I crack myself up.) At any rate, my thoughts on what Dreamforce meant to developers in the form of a post can be found at SearchCRM here.